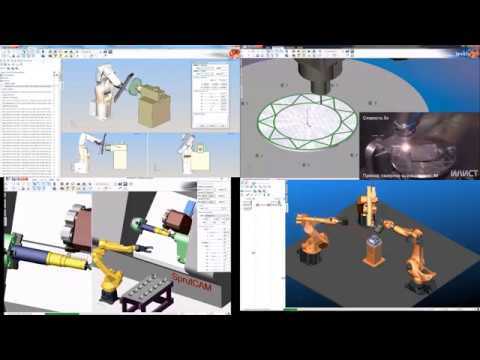 SprutCAM all-in-one software for CNC machines programming Created by SPRUT Technology Ltd. The fast and easy way to create CNC or robot milling programs that let you get the very best from your machines. The simple to use front end of our software is easy for a novice CAM programmer but SprutCAM is much more capable than it first appears to be. SprutCAM is a sophisticated programming tool for with state-of-the-art technology. Program manufacturing robots like any other CNC machine but with all the freedom kinematic chains provide. One time purchase ranging between $500 and $20000, and / or subscription that costs between $30 and $650. Price may vary depending on commitment and so on. SprutCAM was added by SprutCAM in Oct 2018 and the latest update was made in Oct 2018. The list of alternatives was updated Oct 2018 There is a history of all activites on SprutCAM in our Activity Log. It's possible to update the information on SprutCAM or report it as discontinued, duplicated or spam. Maybe you want to be the first to submit a comment about SprutCAM? Just click the button up to your right!